7) Browsing and Installing Packages. 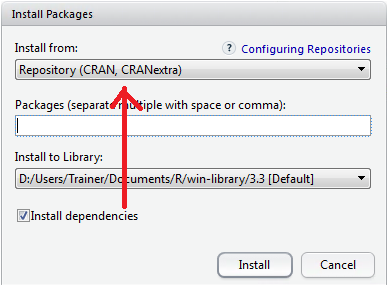 For the purposes of these Blog entries all external packages will be sourced from CRAN via Rstudio. In this Blog entry the graphics and plotting package titled ggplot2 will be installed.